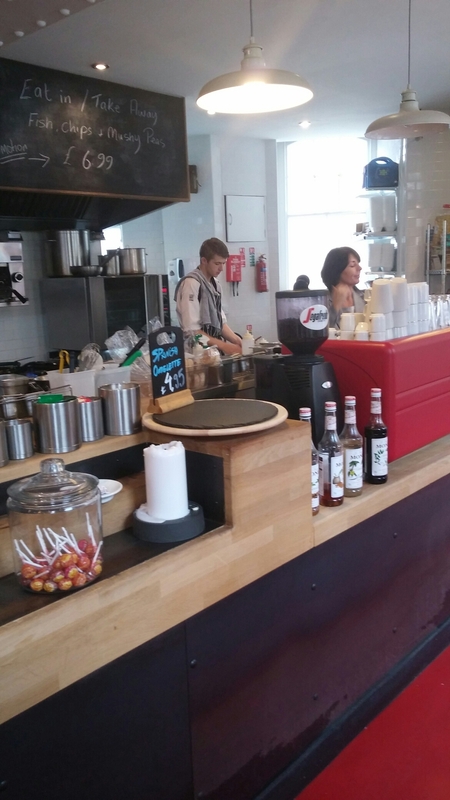 Tucked away in a side road behind the carpack off Penarth Road at the back of Cardiff Central train station, the Trade Street Cafe & Bistro is one of those hidden gems that is a joy to find and which you are reticient to tell anyone about. 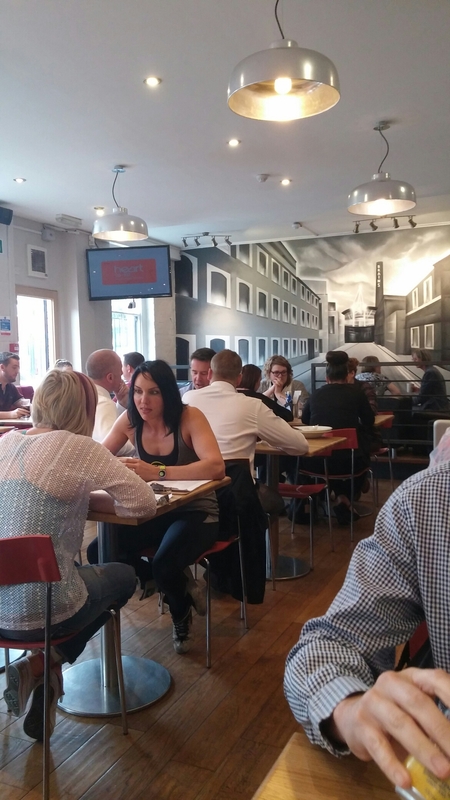 It is as the title suggests very much off the (b)eaten path in terms of Cardiff’s main eatery areas, but those in the know make it a popular breakfast and lunchtime joint. My suggestion of it as a venue for a lunch in work (J and I having been on a number of occasions) was met with a collective look of puzzlement and then very wary looks when I explained where it was. After sending them a link to the menu they all conceded it looked nice and off we went. Notwithstanding its hidden location and its quite understated exterior, it is a fairly spacious place which does both sit down and take away food. On the day of our visit it was busy, busy and we had to wait about 5 minutes before a table became available. It has an open kitchen, which I quite like (no hidden horrors), and table service (but you pay at the counter on your way out so no waiting for the bill). It is a pleasant space for lunch. 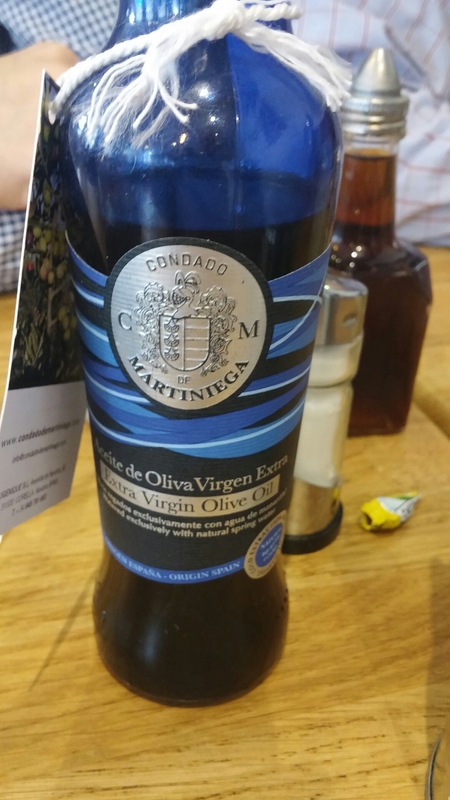 The bottles of olive oil on the tables is testatmony to this place being way more than your average cafe. 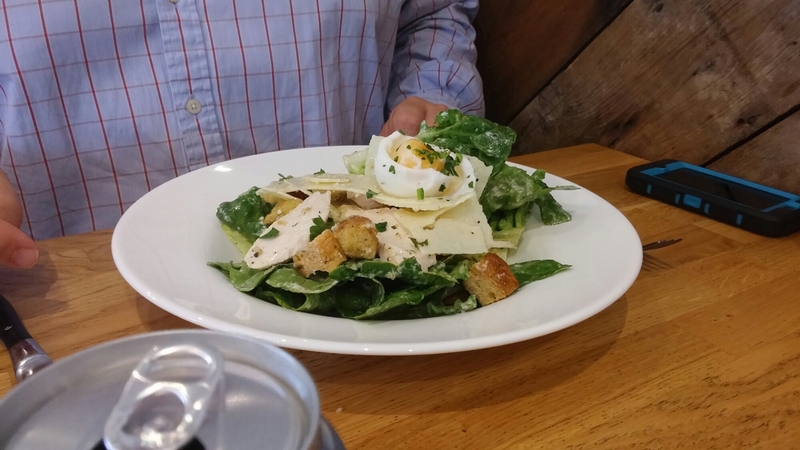 The eat in lunch menu has your standard salads, sarnies etc. as well as hot food. All are a cut above standard fare. 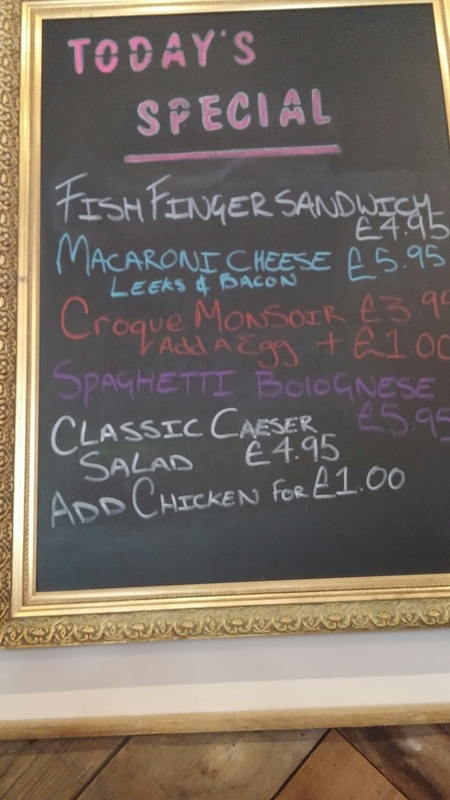 Prices for eat in food range from £3.15 for the cheapest sarnie up to £7.95 for minute steak and chips. which is (to me) where the really interesting stuff resides. 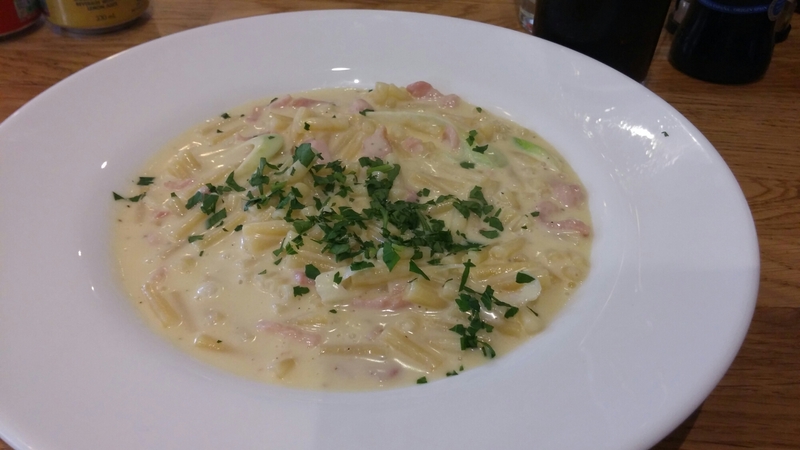 I went for that classic piece of comfort food, macaroni cheese (£5.95) here with the addition of bacon and leeks. 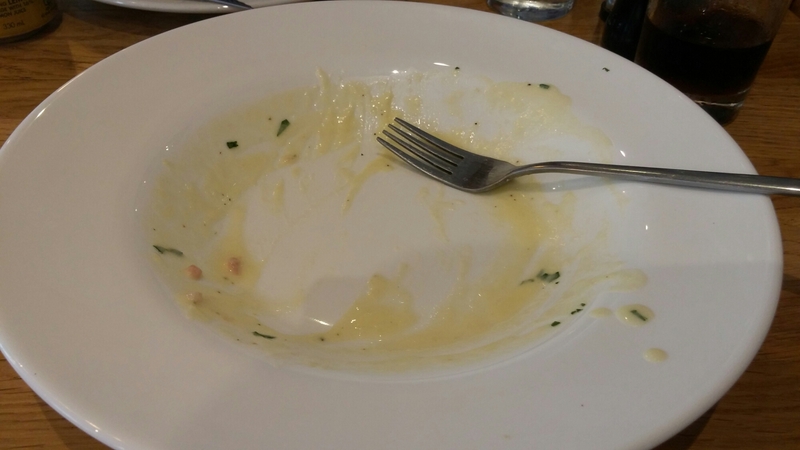 This was a really nice dish, with a lovely tangy cheese sauce and the plentiful macaroni not overcooked. The leeks still had a bit of bite to then, which added a welcome bit of texture. The bacon (everything is better with bacon) topped off a very enjoyable and well made dish. I pretty much inhaled it. 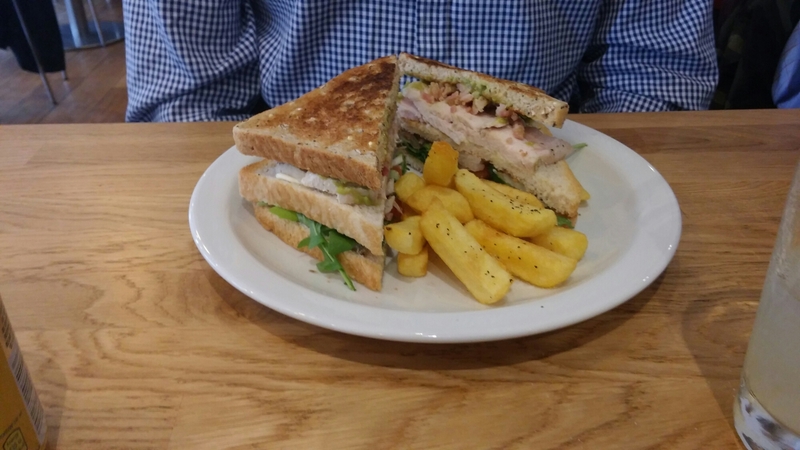 and a chicken, bacon and pesto toasted pannini and chips (£4.25). These were generously portioned and my queries as to whether they were good were met with vigorous nods of approval. 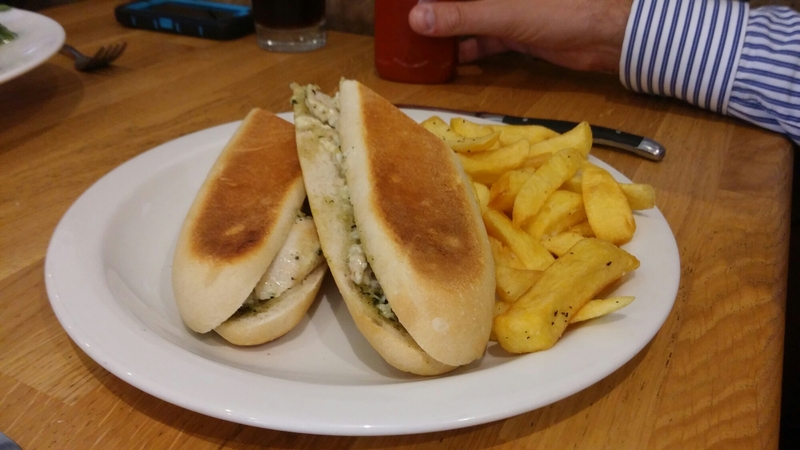 and all of us suffered some food envy when two portions of this were delivered to the next table. They also do a very nice breakfast (opening at 7.30am in the week) . 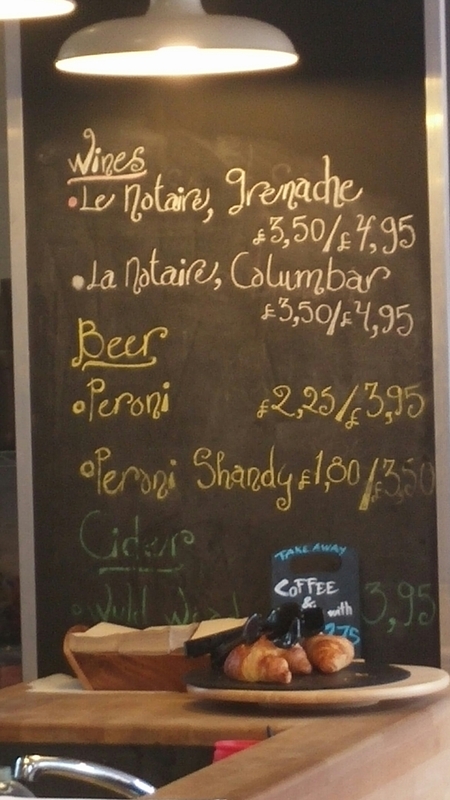 The usual suspects drinks wise are on offer, with decent coffee and tea, as well as soft drinks. Must admit I thought the pricing of a can of coke at the same amount as San Pelligrino Limonata (£1.10) was odd bearing in mind the differing retail price of each. So cheap limonata, but perhaps pricey coke. 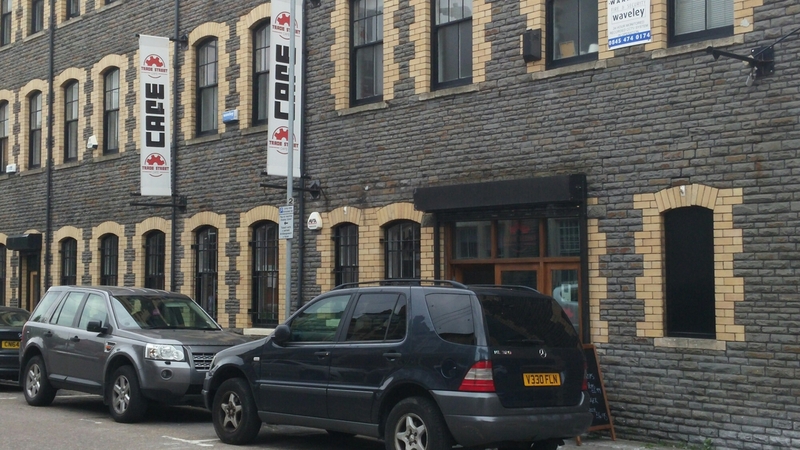 Not that far (as the crow flies) from the Millenium Stadium, it is a great place for a pre- match meal and drink (book early for that mind). I really like the Trade Street Cafe & Bistro. 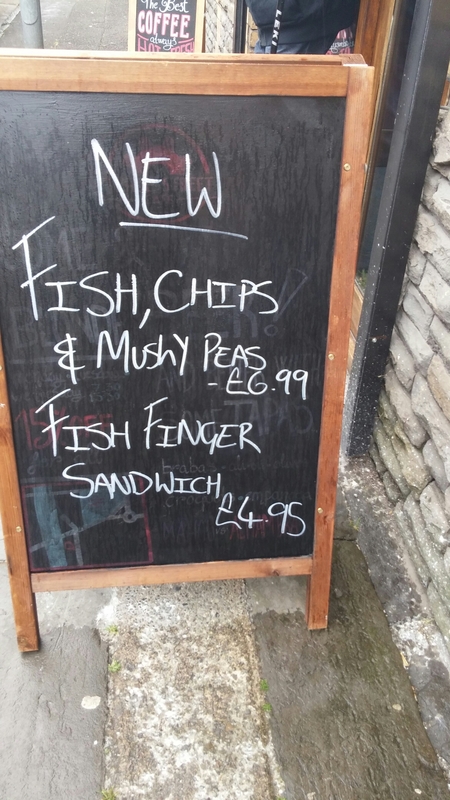 It offers good food at great prices and you can’t ask for much more than that really can you. Service was friendly, but efficient and we were in and out within the hour. It is one of those place where you know you are guaranteed a good meal every time you go. Would I go back? Oh yes – have been going to this place for a few years now. It is always an idea to get to this place early doors or after the traditional 1 till 2 lunch hour, as it is a place that is very popular and rightly so. 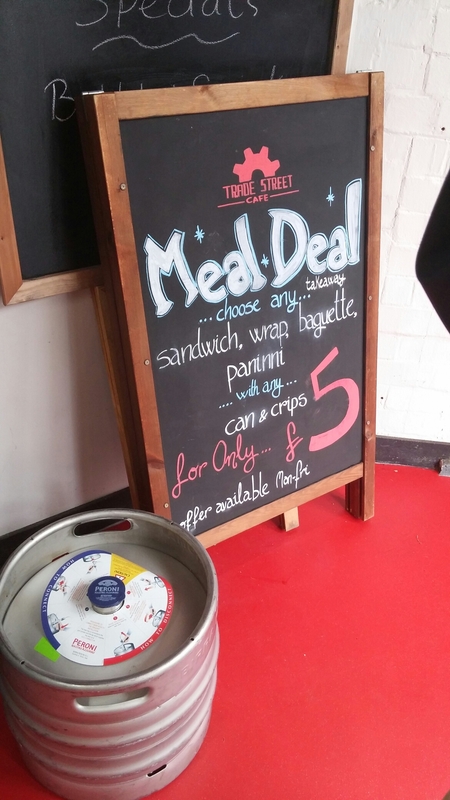 The take away food offering is also good, with a decent meal deal available. I understand the menu is in the process of being updated so it is worth checking out their website for the latest menu details. Found out whilst filming next door recently, that the place doesn’t generally open on a Saturday. 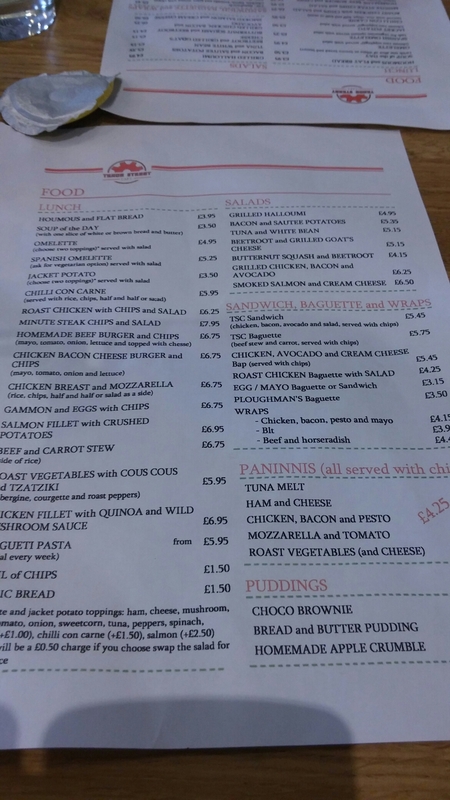 This entry was posted on Jun 14, 2015 by solicitingflavours in Bacon, bistro, Breakfast, Cafe, Cardiff, coffee, Diner, Drink, Food, lunch, lunchtime, Non alcoholic drink, Restaurant Review, Take away, Tea, Trade Street Cafe, Wales.